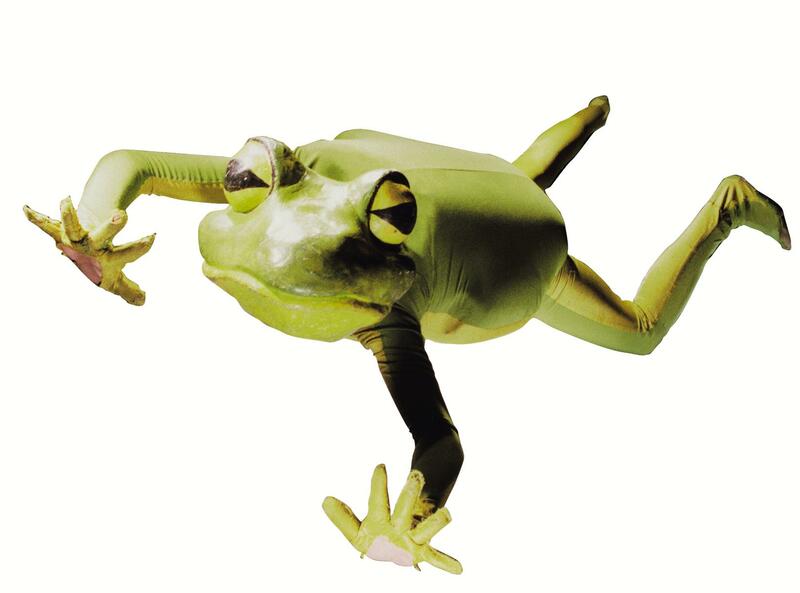 Imago Theatre will bring its kid-friendly production, Frogz, to the Weis Center on Tuesday, February 5 at 7 p.m. at the Weis Center. The family discovery performance is suggested for ages 4 and older. The run time is 1 hour, 25 minutes and includes one 15-minute intermission. The performance is sponsored, in part, by the Public Library for Union County. Patrons are encouraged to come early as there will be free kids’ activities from the Public Library for Union County in the Atrium from 6-7 p.m.
Frogz put Imago on the international map. The simplicity and the charm of the show catapulted the production to two Broadway runs at the acclaimed New Victory Theatre in 2000 and 2002. Since 1979, Imago has been creating transformative theatre that crosses boundaries traditionally associated with language, age and the physical realm. The company’s trademark style – which combines masks, dance and slapstick with witty social commentary on the human condition – is the direct result of more than 30 years of study, development and practice. Not easily pigeonholed, Imago has repeatedly proven unique in its ability to create both popular family-oriented fare as highly regarded as its critically acclaimed (and ambitious) productions for adults. Tickets for the public performance on Tuesday, February 5 at 7 p.m. are $20 for adults, $16 for seniors 62+, $10 for youth 18 and under, $10 for Bucknell employees and retirees (limit 2), $10 for Bucknell students (limit 2), and $10 for non-Bucknell college students (limit 2). There will be a special matinee for schools and homeschool families (groups of 10+) on Wednesday, February 6 at 10 a.m. The cost is $6 for students and chaperones FREE. The matinee is suggested for ages 4 and older and the run time is 60 minutes (no intermission). The matinee is for groups of 10 or more only. Advance reservations and payment required. General admission seating. Indicate any accessibility needs at time of reservation. Groups can make a reservation by contacting Lisa Leighton at 570-577-3727 or Lisa.Leighton@Bucknell.edu, and then making advance payment to the Campus Box Office at 570-577-1000. The schools matinee is sponsored, in part, by the Priestley-Forsyth Memorial Library in Northumberland.